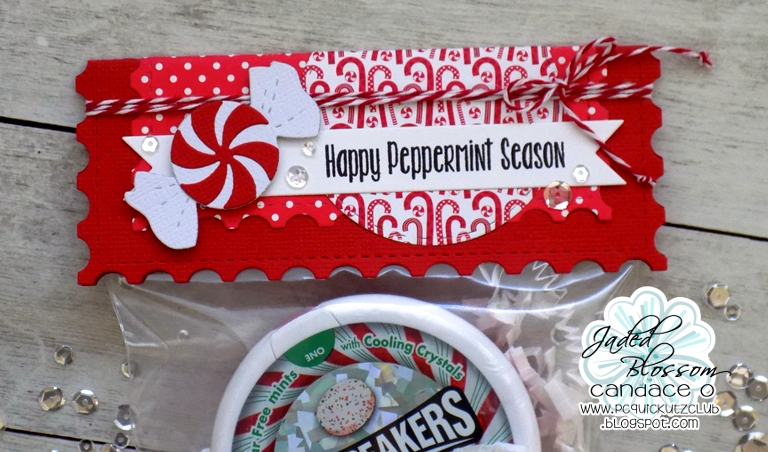 Jaded Blossom: Happy Peppermint Season! Hey everyone! It's Candace from Candi O. Designs and I'm taking over the Jaded Blossom Blog today! 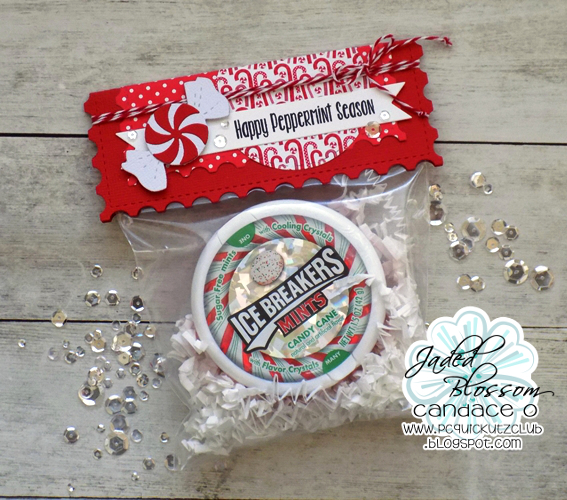 I found these Ice Breakers Mints that are candy cane flavor and man they are good!!! I thought what a perfect little gift to give this holiday season. I took the new postage dies and created a topper to go on a bag holding this treat! !